The theme for this month’s POM is “A present for Teacher”. I’m still playing with these Doodlebug papers that Jill sent me so decided to use them for my POM. I went for quick and easy as I have 3 gifts to make for our Ben’s teachers – how come at 4 years old he has THREE teachers???? I have not done a step-by-step as I used the tutorial for a Box in a Bag from Splitcoast Stampers. I had to fiddle with it a bit as I made it bigger and the 12 x 12 paper was not long enough to go round the box – hence the punched strip along the centre front. Actually I like it with the centre panel so will do the other two the same way I think. Another view of the Box/Bag – do you know how hard it was not to eat the chocolates, I have no fingernails left!!!! And the card, I used one of the old Mojo Monday sketches, I think this has to be my favourite out of all the sketches that Julee has done. Woohoo – the new monthly challenge starts today over on the brand new Just Magnolia Tutorial Challenge blog. Our first challenge is Distressing, and is based on the fabulous tutorial that Kim did for us last month. In future the monthly tutorials and challenges will be posted on the new blog, to keep everything together and hopefully less confusing with have the 3 challenges running. The papers I have used on the card as well as the stamps came in my DT kit from Create4Fun, I knew as soon as I saw the paper that it would be perfect for this challenge. There was no matching papers so I dug out a script stamp and used that for the 2nd layer under Tilda. A close up of the gorgeous lace ribbon that I picked up at Hobbycraft a couple of weeks ago – love it! Please go take a peek at the other DT cards, they are truly stunning!! Recipe: Stamps and paper from Create4Fun, Roses from Wild Orchid Crafts, Martha Stewart branch punch, Stampin up Corner punch and slit punch, pearl pins, large rose and lace from Hobbycraft. I was lucky enough to win a two week spot as a guest designer on the Everybody Art challenge blog. This week the challenge is “Summer Time” and what could be more summery than cute little Doraline with her sunflower – bless. I had a bit of a panic on when I made this card ….. just look at all those colours – so not me lol. I managed to get the inside decorated on this one, albeit a very simple one. After much thought we have decided to split the challenges into three seperate blogs as it's going to get rather confusing trying to run the weekly and monthly challenges simuntaneously on one blog. So, tomorrow we launch our second monthly challenge on the new blog which will be based around the challenges that our Featured Stampers do for us. Last month our Featured Stamper was our fellow DT member Kim, who did the most amazing distressing tutorial for us. We hope you will pop over to the new blog tomorrow and take part in the new challenge. There's a fab prize up for grabs too! Whiff of Joy's first anniversary is fast approaching - hasn't the time just whizzed by!! Katharina wants to celebrate this event with a huge party, which will take place on the evening of Saturday, July 25th 2009. Katharina is planning on a blog hop as part of the celebrations so from today is calling for Blog Hop Guest Designers. She has done a fabulous sketch (at first I thought it was way to difficult for this simple little single brain cell of mine to do but I loved making the card using the sketch). So, what are you waiting for? Pop on over to Katharina's blog now to get all the details. Congrats Pinky, can you please email me with your address (email link in side bar) so I can forward your details to Heidi. Loved this weeks sketch on Friday Sketchers, it's another of Carole's fab creations! I have another series of cards to do so you may very well be seeing a few more cards using these Doodlebug papers - you've been warned lol. Yep, it's Saturday Surprise time again. This week Simon Says Stamp is going to supply a Magnolia Tilda with Flowers stamp for me to give away to one of my lovely blog visitors! They have such an amazing website with 1000's of stamps so if you have not visited them yet then be prepared to be amazed! New charms and spacers - and loads of them too!! The Hobby House has almost 50 new charms and spacers in stock, and due to their increased buying power you get even more for your money this time!! Gold and silver chain is due in next week for those of you who were waiting for it. I've just had an email from Create4Fun - they have the brand new Martha Stewart border and corner punches in stock - mine set is winging it's way to me now lol. How fab are these!! 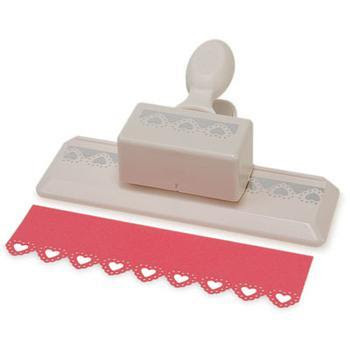 MARTHA STEWART VALENTINE'S LACE PUNCHES NOW IN STOCK!!! I cannot believe it but we have just taken delivery of lots and lots of Martha Stewarts Valentine Lace border punch. We will start processing the orders we have and contacting people who are on our waiting list but if you are on our waiting list for one of these and would like to save time please place your order via the website and in customer notes please add "waiting list" and then we will know not to get in touch with you again. Stocks are available to order but this limited design is sure to be a sell-out. Goodness, it sounds like something out of Dallas or Dynasty (okay so I am so showing my age now lol) - here's the second card in the series of four that I am doing for Jill using these stunning, gorgeous, delish Kaiser papers. This card nearly didn't get done tonight, this is the last of the papers that I have till I get my new stocks and clever clogs here knocked a whole glass of orange juice over my desk. I didn't think I could move as quick as I did! The juice caught just under half of the two sheets (leaving me just enough to make the card) and it also went all over my newly finished Magnolia card for the JM challenge on Friday. I am so pleased I was alone up here (the air was rather on the blue side with what I was calling myself I can tell you!). I am NOT going to be remaking the card - not got the time or the heart to be honest - so the card on Friday is going to look rather wrinkled (a bit like me) where I have not managed to flatten the papers down. There's always one - and it's usually me *rolls eyes*!!! Anyway, on to the card, I have used the Flowersoft and pearls for flowers again, I really do like the effect. I had planned on using the little roses (that are in the corners) in amongst the Flowersoft but they were too big - looked a bit daft having the flowers as big as Willow & Oakley's heads, for sure lol. I've also used my fave layout too - quick and easy and doesn't need much paper thankfully. Also, I forgot to tell you all - The Hobby House is going to be at the ArtStamps show at Newbury Racecourse next week - so for those of you that are close by, I hope if you're going you will pop across and say hello. It's a sketch this week (I just luvs sketches) and I've got another series of cards to do using another range of papers - so I'm afraid you will be seeing another 3 very similar cards over the next few days, and I am so going to enjoy working with these papers. They are just so delish, and classy and yummy - I think they are the most perfect papers for wedding cards ever!! If you saw the state I got myself in to when I had to cut these, and I had no spares!! I put in a desperate call to Jill at The Hobby House to send me more which made me feel a little better lol. I think the Fleur-de-Lys punch is just perfect for the papers - a match for sure. Apologies for the poo colouring - I had left the card till the last minute and had coloured a different image but when I came to assemble the card the image was just too big and hid most of the delish papers (and that just would not do now would it!) So I had to quickly stamp and colour a different image to get a decent pic before I lost the daylight. I’ll have to do another before I forget. I used some Flowersoft for her head-dress and bouquet but the white FS seemed to disappear into the green so I pushed some pearls in for the flowers. I have kept the inside very plain to show off the gorgeous papers and punched border. Little Annie has been calling me - poor bairn has been feeling sorely neglected this past week so I had to ink her up last night, bless. I followed the sketch on Friday Sketchers and used the gorgeous new Melissa Frances papers from The Hobby House. Not sure if they are on the website yet but if not, you know the drill, drop Jill and email and she will sort it for you. A peek at the inside, very quick and simple as I am soooo behind so please accept my apologies for not blogging this past week, I have so much on behind the scenes right now but hope to be caught up by the end of the week. To celebrate the first Birthday of Simon Says Stamp Blog, the Design Team members are participating in a blog hop, to inspire you with so many of the stamps that Simon Says Stamp sells! Some of us will be showcasing the EXCLUSIVE Simon Says Stamp brand of stamps – over 45 FABULOUS sets to choose from!!! If you didn't start the blog hop at the beginning, then you want to head back to Simon Says Stamp blog so you do not miss anything. At each blog, there will be a MYSTERY LETTER – collect all of the letters, unscramble them, and post your answer at the end. Be sure to follow the blog hop all the way to the end, for a chance to win. When you get to the Simon Says Challenge Blog, leave a comment that you hopped to all blogs, and the mystery word and you will be entered to win some FABBY blog candy! You will get 1 entry for the mystery word and 1 entry for becoming a follower of both Simon Says Blogs (if you already are a follower, you automatically get an entry). he Grand Prize of will be drawn on Wed. June 24, so be sure to stop by to see if you are the lucky winner! The Grand Prize is…… (drum roll please……..) a $100 shopping spree at Simon Says Stamp store! Woooo Hoooo!! Good luck to you all! Not only will you be in with a chance of winning this fabulous candy – if you visit each of the DT taking part in the hop and leave a comment on their blog hop post you will be in with a chance of winning a Simon Says Stamp brand set of stamps! Heidi has given each of the DT a set to give away as candy and I have chosen the ALL MY LOVE stamp set to give away – I just love this set, it’s so perfect for wedding cards/invitations/acceptance cards/complete wedding sets. 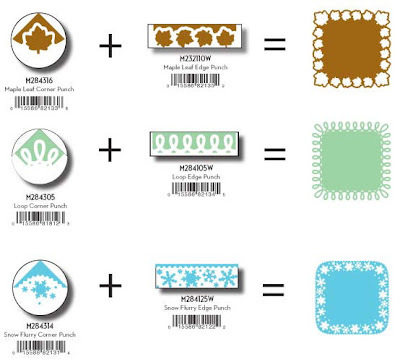 As well as the stamp set Heidi is also going to be sending some bling to the lucky winners. This will also be drawn on Wednesday 24th June. And I have made this card using the wedding cake stamp from the set. Instead of embossing the image like I did on the last card I made with this set I stamped it with Versafine ink on watercolour paper, coloured the flowers, leaves and stems with H2O’s and applied stickles to the flowers. I added tiny self adhesive pearls to the cake to cover the little dots (you know me and me pearls!!). The papers I used are Papermania Exquisite – love the soft pretty shades in this pad. Next head over to CHRIS to see what fabulous inspiration she has for you. Thanks for stopping by! HAVE fun and good luck!!! Here's another of the silver grey cards that I have been busy with for The Hobby House, the more I use these papers the more I love them. I can see me making loads of silver/grey Christmas cards this year (best stock up on the Twinklets and the papers then lol). I've carried the sketch through to the inside, I was going to stamp a sentiment inside but forgot all about it - best go get that done now before I forget again. Oh my word!! Go check these out!! Are you a fan of the distressed/vintage style?